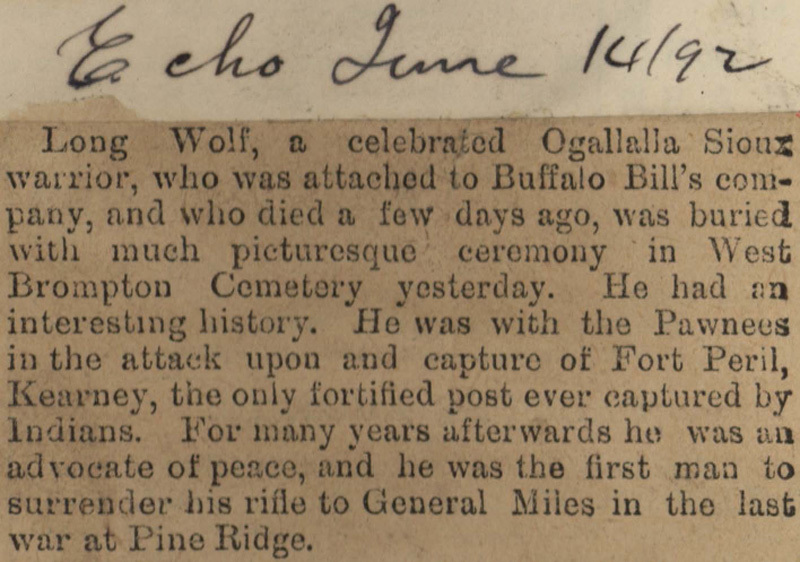 Long Wolf, a celebrated Ogallalla Sioux warrior, who was attached to Buffalo Bill's company, and who died a few days ago, was buried with much picturesque ceremony in West Brompton Cemetery yesterday. He had an interesting history. He was with the Pawnees in the attack upon and capture of Fort Peril, Kearney, the only fortified post ever captured by Indians. 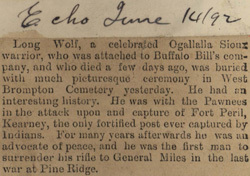 For many years afterwards he was an advocate of peace, and he was the first man to surrender his rifle to General Miles in the last war at Pine Ridge.